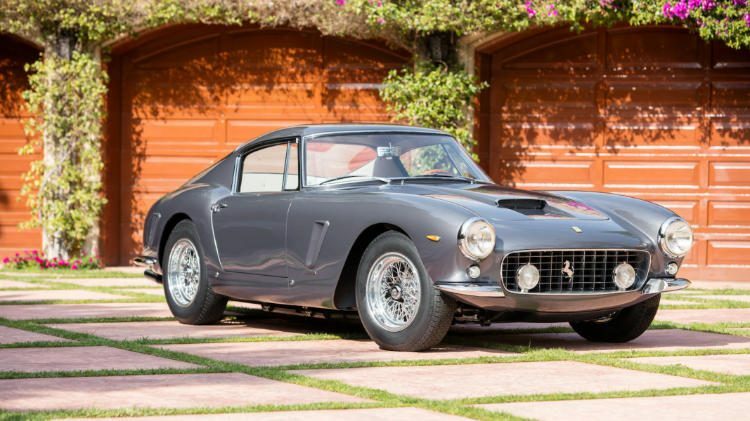 A matching numbers 1962 Ferrari 250 GT SWB Berlinetta will be offered at the Bonhams Quail Lodge 2018 classic car auction during Monterey Week. Bonhams announced that a 1962 Ferrari 250 GT Short Wheel Base (SWB) Berlinetta, chassis 3337 GT, will be offered at the Quail Lodge 2018 sale. This matching numbers 250 GT is fully restored and has an excellent show record that includes a perfect 100-point title from the Ferrari Club of America International Meet. The 1962 Ferrari 250 GT Short Wheel Base (SWB) Berlinetta, chassis 3337 GT, on offer at the Bonhams Quail Lodge 2018 classic car auction is a matching numbers example with its original coachwork and in period competition features. It’s also the recipient of an exacting professional restoration by the late master Wayne Obry of Motion Products and later Rex Nguyen, and is presented in its original livery of Grigio Conchiglia. Testament to the superiority of its condition, it has won a host of prestigious awards. Some of these include: 1st in Class at the Cavallino Classic, 1st in The Greatest Ferraris Class at the Quail Motorsports Gathering, 2nd in Class at the 2017 Pebble Beach Concours d’Elegance, Best GT at Mar-a-Lago, Best Restoration at the Cavallino Classic, and, most telling, Best Roadcar and a perfect 100-point title from the Ferrari Club of America International Meet. Ferrari number 3337GT may be quite possibly the best Ferrari 250 GT SWB in existence. 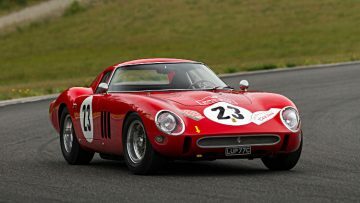 Ferarri 250 GT SWB Better than a Ferrari 250 GTO? 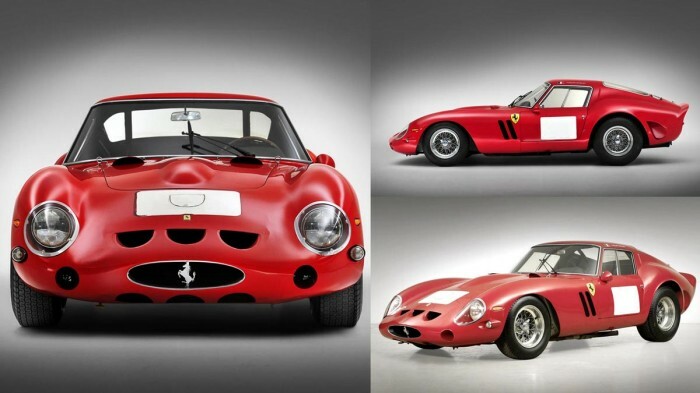 Although the 1962 Ferrari 250 GTO on offer at the RM Sotheby’s Monterey 2018 sale is likely to replace the 1962/3 Ferrari 250 GTO sold for $38 million by Bonhams at Quail Lodge 2014 as the most expensive car ever sold at public auction, the 250 GT SWB certainly is a popular car too. Motor Trend named it one of the five greatest Ferraris of all time, Sports Car International called it one of the top 10 sportscars of the 1960s, Top Speed said it’s more attractive than the 250 GTO, Road & Track simply called it “gorgeous,” and that’s just the beginning. The Ferrari 250 GT Short Wheel Base (SWB) Berlinetta is unquestionably one of the greatest sports cars ever made. 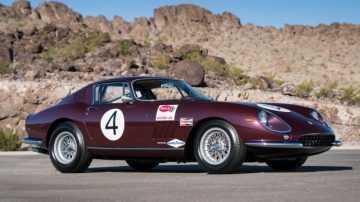 Lightweight and endowed with a tremendously powerful motor and excellent suspension – not to mention incredibly attractive looks – the 250 GT SWB was highly competitive and won races with alacrity. 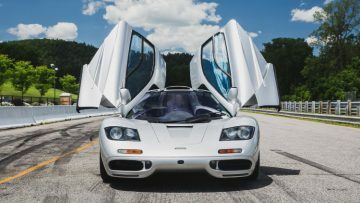 “It’s this combination of engineering, design, rarity and racing success that’s made it a legend and one of the most sought after sportscars on the planet,” says Jakob Greisen, Bonhams VP – US Head of Motoring. 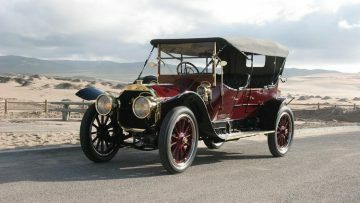 Bonhams has not issued any price guidance yet but similar cars have sold for around $8.5 million at recent auctions.